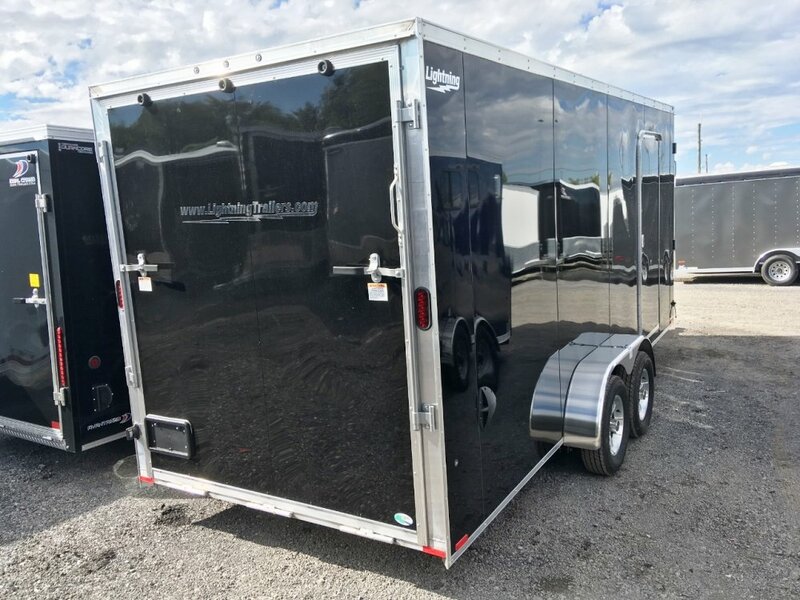 This is our number one selling sled trailer. 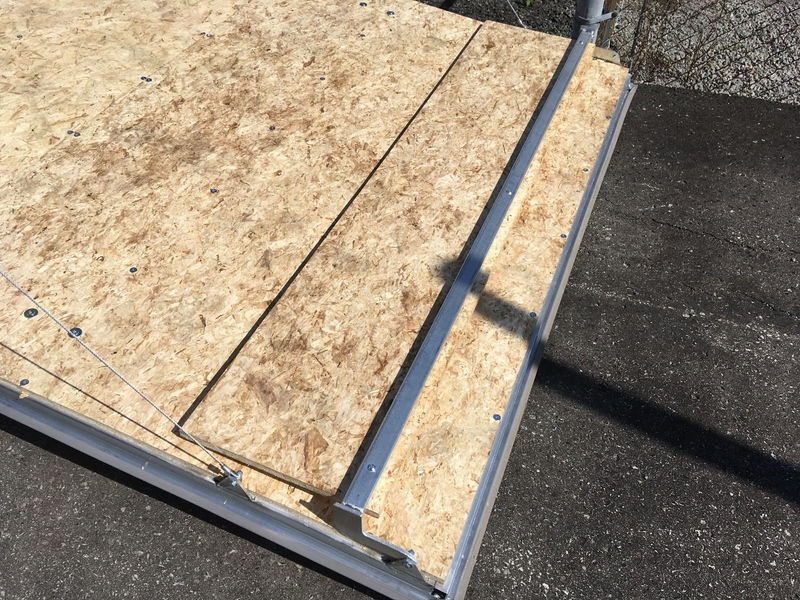 All aluminum construction. 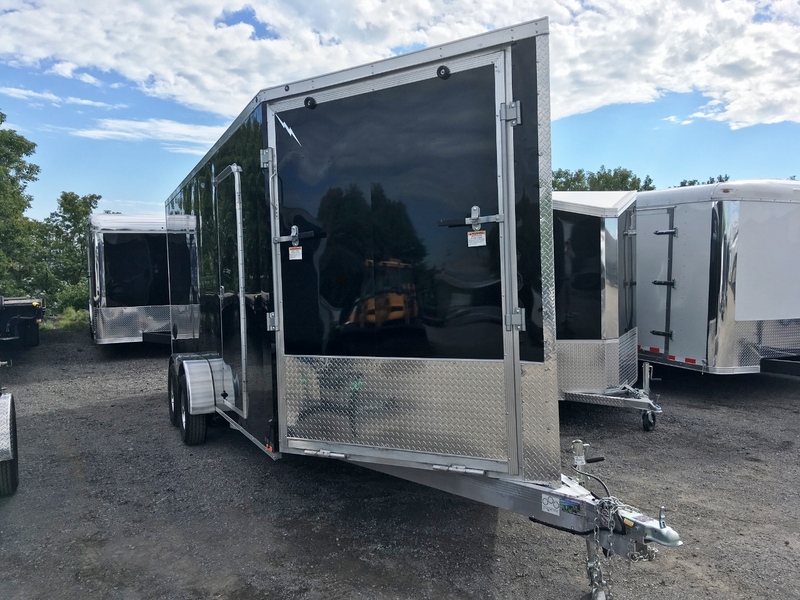 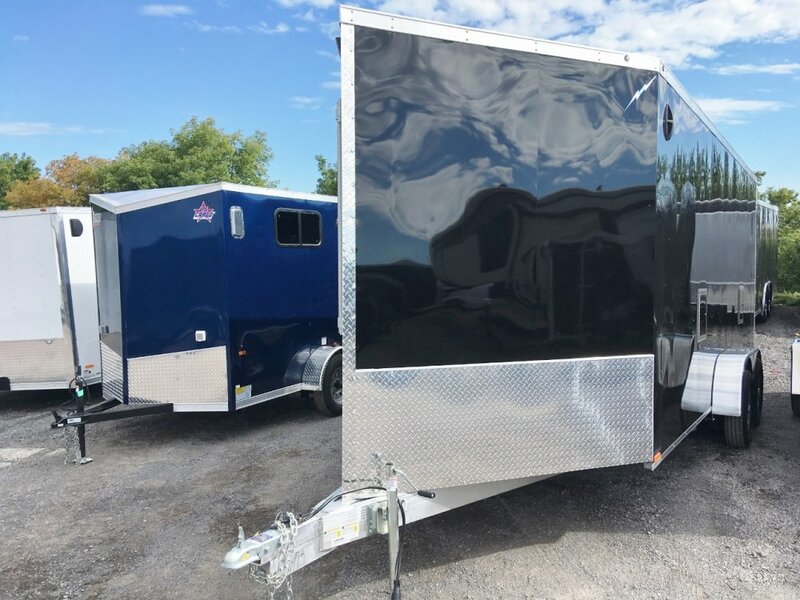 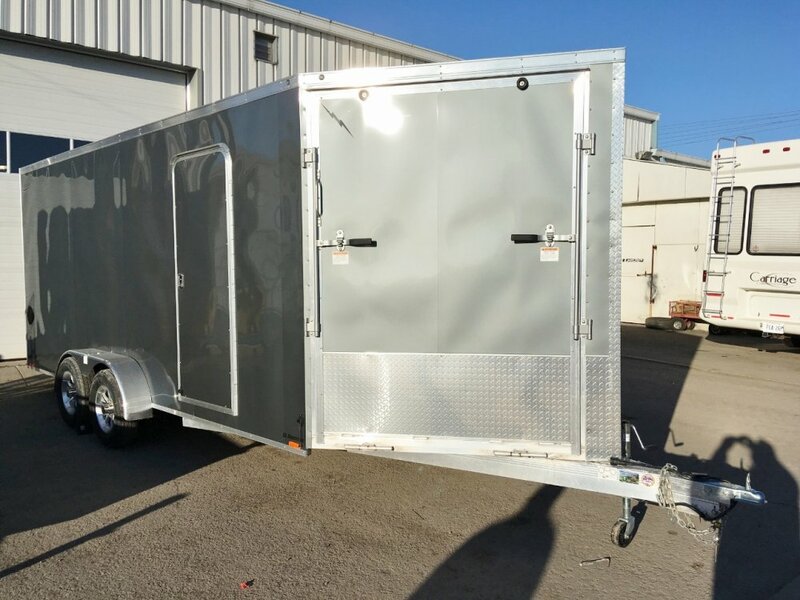 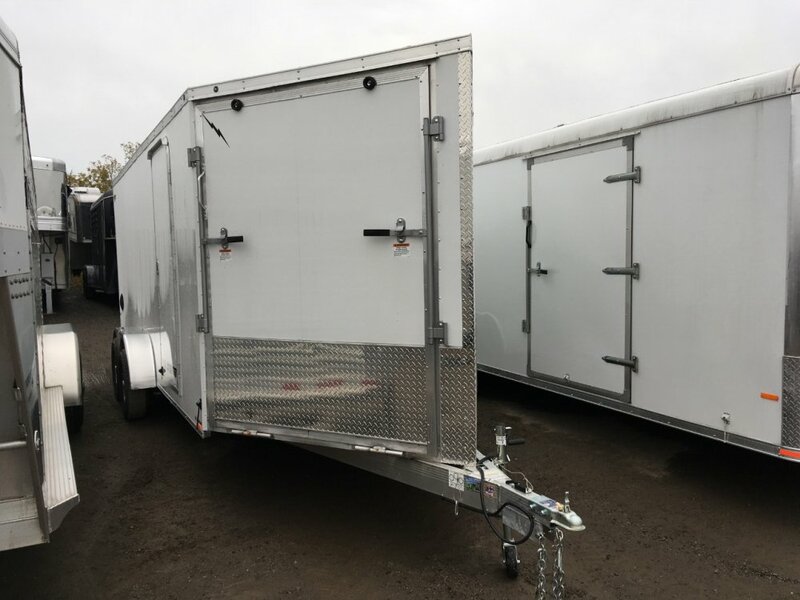 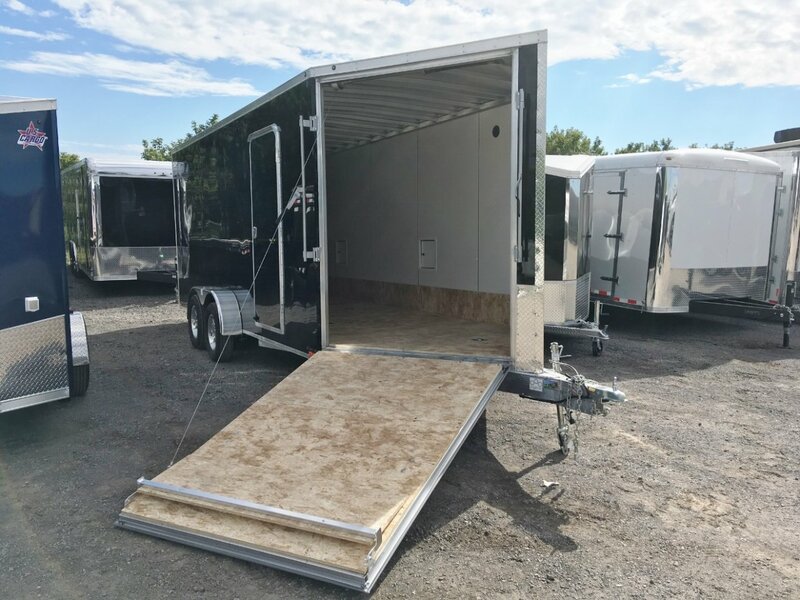 12" extra height (7'2" interior) accommodates most side by sides as well, 18' box area plus 5' drive off v-nose, d-rings, white walls, kickplate, spring assisted ramps with transition flaps front and rear, 2 access doors, alloy wheels, 15" radial tires, screw less sides. 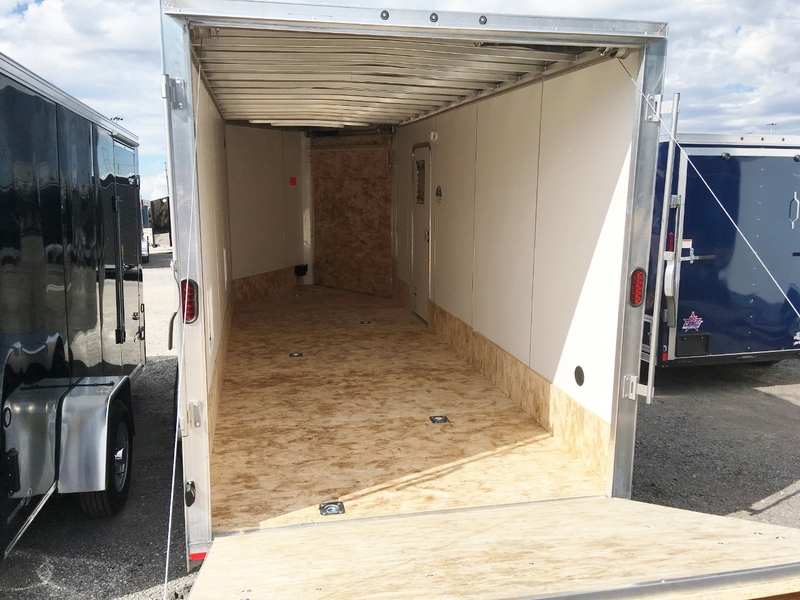 Unit# 116174 $11295 has 7'8" interior. 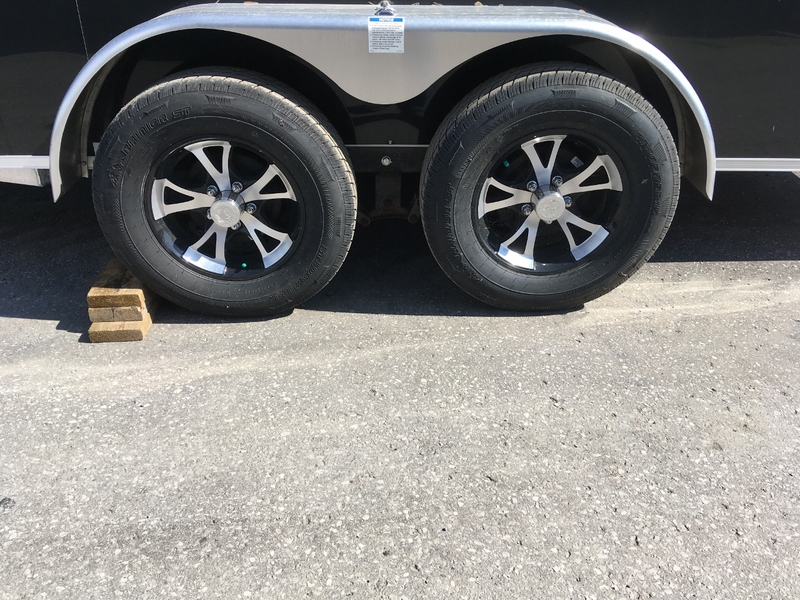 Units 116173 and 116174, both black, have riveted seams with colour matched rivets.